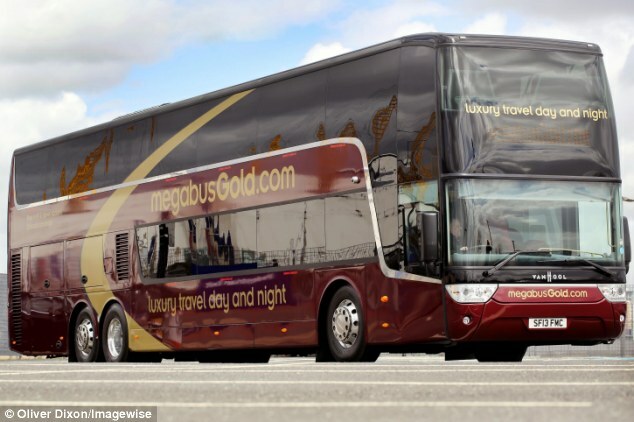 Following the news in April that Stagecoach were introducing a new fleet of vehicles on their new megabusGold services here , they have now have announced that the first of its new overnight sleepercoach routes between Scotland and London will begin operating in July. Stagecoach announced in April that is introducing a network of overnight sleepercoach services to link London with Aberdeen, Aviemore, Cumbernauld Dundee, Dunfermline Edinburgh, Falkirk, Ferrytoll park and ride in Fife, Glasgow, Inverness and Perth. All of the new overnight megabusGold.com routes will be launched this summer, with detailed start dates for each service to be confirmed over the next few weeks. The new services will all operate using a fleet of 10 specially designed coaches which have leather seats that can be converted into lie-flat beds. Prices will range from £15 to £60 and the services will operate seven days a week. The state-of-the-art double-deck coaches boast luxury leather seats and a toilet. 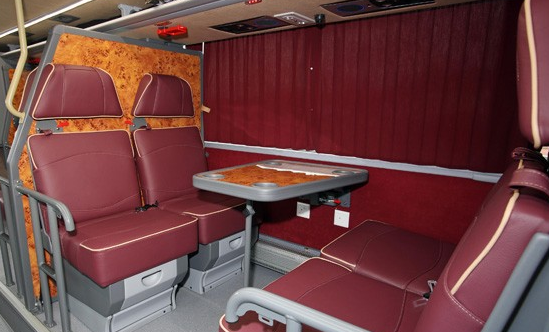 The specially designed vehicles have 53 leather seats with tables, power sockets &free Wi-Fi. The seats convert into 42 beds. Trials of the first new vehicle have achieved positive feedback from customers with the majority saying they will use the service again and recommend it to friends. Customers using the overnight service receive complimentary refreshments during their journey as well as a sleeper kit which includes an eye mask, a toothbrush and toothpaste. In addition, as a pilot, passengers will also be given a choice of a blanket or a onesie to sleep in during their journey. 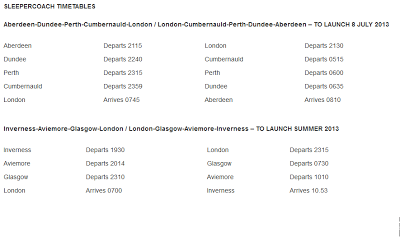 “We know there are lots of people who are keen to try these new services and we look forward to welcoming passengers on board when they get underway this summer. The launch of the new sleepercoach network follows the huge success of a pilot route between Glasgow and London using refurbished vehicles fitted with bunk beds. Specially designed and manufactured by Van Hool in Belgium, the new sleepercoach vehicles will operate under a new megabusGold.com brand. 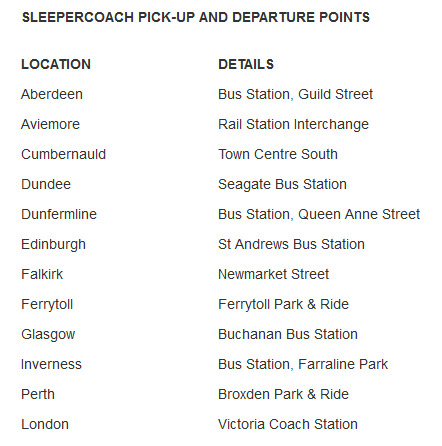 All routes on the sleepercoach network will be operated through the Scottish Citylink joint venture between Stagecoach and international transport group ComfortDelGro. A new dedicated megabusgold.com website will be launched later this year. 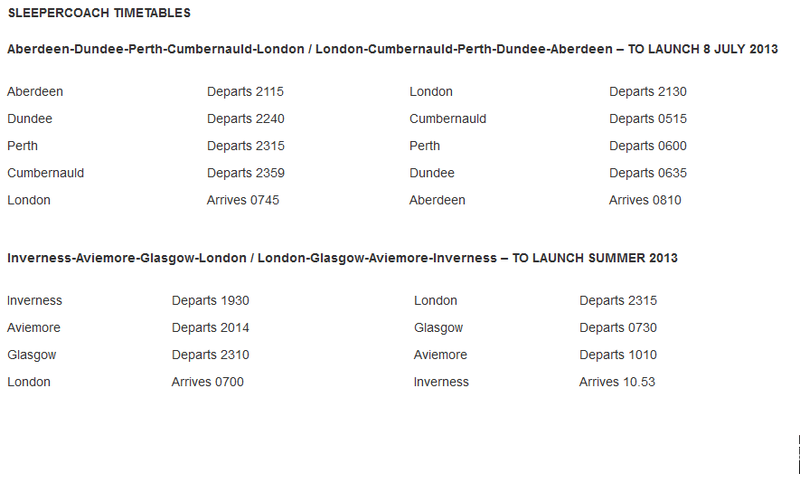 a price of £35 on Monday 22nd July.